Home CCleaner Infected Malware Tech CCleaner Hacked to Distribute Malware. Over 2.3 Million Users Infected! CCleaner Hacked to Distribute Malware. Over 2.3 Million Users Infected! 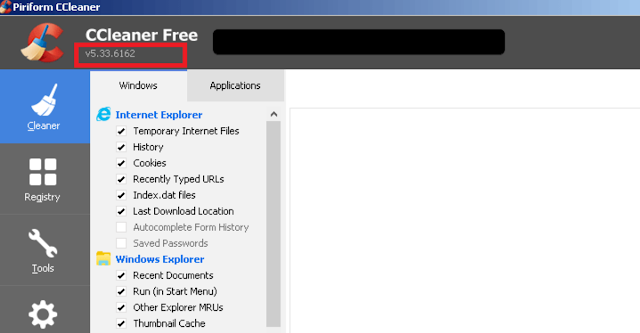 If you have downloaded or updated CCleaner application on your computer between August 15 and September 12 of this year (2017) from its official website, then pay attention, your computer has been compromised. CCleaner is a popular application with over 2 billion downloads, created by Piriform and recently acquired by Avast, that allows users to clean up their system to optimize and enhance performance. Security researchers from Cisco Talos discovered that the download servers used by Avast to let users download the application were compromised by some unknown hackers, who replaced the original version of the software with the malicious one and distributed it to millions of users for around a month. This incident is yet another example of supply chain attack. Earlier this year, update servers of a Ukrainian company called MeDoc were also compromised in the same way to distribute the Petya ransomware, which wreaked havoc worldwide. Avast and Piriform have both confirmed that the Windows 32-bit version of CCleaner v5.33.6162 and CCleaner Cloud v1.07.3191 were affected by the malware. Detected on 13 September, the malicious version of CCleaner contains a multi-stage malware payload that steals data from infected computers and sends it to attacker's remote command-and-control servers. Moreover, the unknown hackers signed the malicious installation executable (v5.33) using a valid digital signature issued to Piriform by Symantec and used Domain Generation Algorithm (DGA), so that if attackers' server went down, the DGA could generate new domains to receive and send stolen information. "All of the collected information was encrypted and encoded by base64 with a custom alphabet," says Paul Yung, V.P. of Products at Piriform. "The encoded information was subsequently submitted to an external IP address 216.126.x.x (this address was hardcoded in the payload, and we have intentionally masked its last two octets here) via a HTTPS POST request." Additional information like whether the process is running with admin privileges and whether it is a 64-bit system. According to the Talos researchers, around 5 million people download CCleaner (or Crap Cleaner) each week, which indicates that more than 20 Million people could have been infected with the malicious version the app. "The impact of this attack could be severe given the extremely high number of systems possibly affected. CCleaner claims to have over 2 billion downloads worldwide as of November 2016 and is reportedly adding new users at a rate of 5 million a week," Talos said. However, Piriform estimated that up to 3 percent of its users (up to 2.27 million people) were affected by the malicious installation. Affected users are strongly recommended to update their CCleaner software to version 5.34 or higher, in order to protect their computers from being compromised.